If your child is keen on playing baseball but is unable to learn it, you need to teach your kids playing baseball on your own. Yes, as a parent, you can be the best coach of your child in every field and baseball is no exception. This is because parents can understand the kid’s better- what problems they are facing and what can be done to improve their skills. The baseball glove: the first thing you would require is a baseball glove. There are varieties of youth baseball gloves available in the market and you need to choose the best one from them for the little hands of your little one. 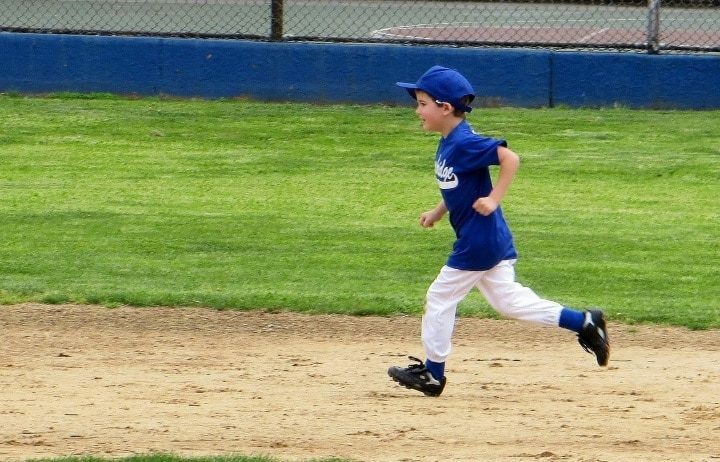 You should consider whether your kid is an outfielder or a pitcher. Pitchers need smaller gloves than outfielders. The baseball bat: The next thing to be considered is the baseball bat. Before buying the bat you need have good knowledge about BBCOR. It is basically the kind of bat that is enforced by the NCAA (National Collegiate Athletic Association) or NFHS (National Federation of State School Association). It is suggested for pitchers and outfielders alike. 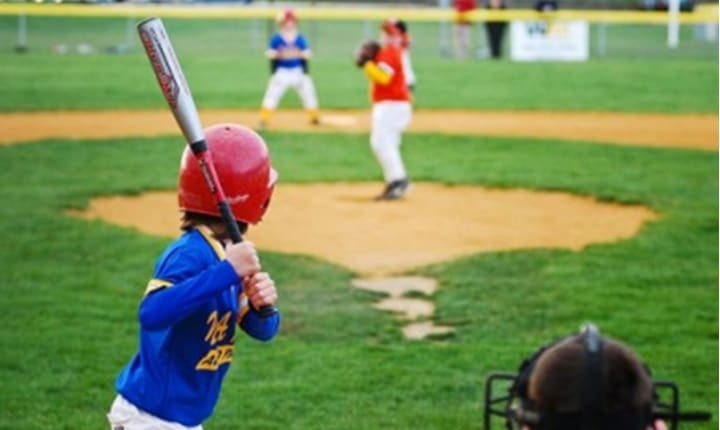 The baseball helmet: It is a must to protect the kids from accidents. The baseball pants: While buying pants make sure that they are properly sized and are made of good quality material. Baseball: Last but not the least, how can we forget the ball when the topic under consideration is baseball? Choose the right baseball for the right training. Baseball hat: It is important especially during summer. Baseball undershirt: The undershirt can be half sleeve or full sleeve. Baseball sunglasses: This will make your little studs feel good about themselves and can make the sessions all the more interesting. Bottles of water: Bottles of water must be present nearby so that you can keep the players hydrated throughout the game. Healthy snacks must also be offered at the end of the session or during the break time so that they can get the sufficient energy and stay recharged. The first lesson that is taken is usually that of a pitcher. 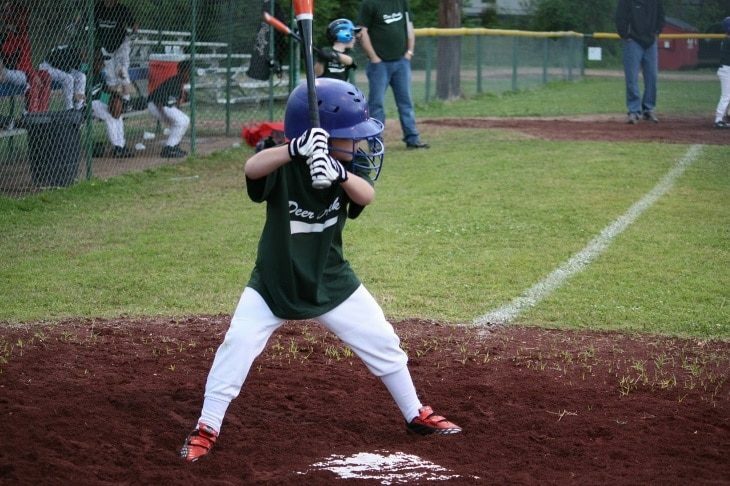 Young ones first learn to pitch and then learn batting if they wish to. So be the batter and let them glare at you with full concentration so that he can throw a strike every time. 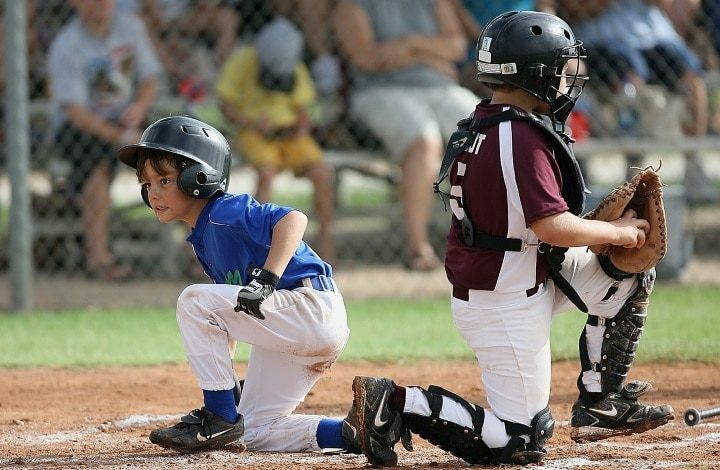 They can also play as catchers once they have become used to playing as pitchers. Both these positions are great to start with for kids playing baseball and being a catcher they can touch the ball in each turn. Heavy rains can be the reason for cancelling of matches. Also, it will be difficult for you to sit and watch your kids play or train them as required. This is why winter and spring are considered as the best time for kids playing baseball. Your child will always tend to showcase their talent but what is important is to teach them how to play in a team. Team-play is an important aspect of every game and in games like baseball it becomes really important. Take into consideration the heights and weights of the kids and form the team in such a way that the right person is assigned the right position and responsibilities. Kids from various ages and various physical appearances can form a great baseball team and if you have three or four kids of your own, nothing can be better! Let them identify their strong areas and position them according to their heights, weights and preferences. The focus while teaching to teach kids playing baseball should be on the long-term development of the players and not on their win-loss statistics. Let the kids pick up the game in the proper pace. Do not pressurise them to show great skills or win matches in the early stages itself. You should rather try to motivate them in case of failures or in case they are finding it difficult to learn the game. Also, give breaks of sufficient durations to the kids playing baseball in between so that the entire thing does not become too hectic for them. There can be two different levels of learning for kids playing baseball depending on the age of the players. So, if your child belongs to the age group of one to seven years, you should fit them into the first level while those of a higher age will belong to the second level. Make the activity enjoyable for the kids. It should not seem to them that you are enforcing something. Also, bring real life examples to make it better understandable for them. For instance, you may use the example of an alligator. When an alligator opens its mouth, it can grasp the prey and once it closes the mouth, the prey gets trapped inside and will not open under any condition. Similarly, the hands wearing baseball gloves should act like an alligator’s mouth. It should not open once it has grasped its prey. The next thing to pick up by the kids playing baseball is to learn to throw overhand instead of throwing at three quarters or side arms. They need to jump to their thighs while throwing the fingers to the sky. Make your players play the game of knockout. They should be made to line up behind the mound of the pitch and you need to send the first player to the mound and throw him a pitch. If he can strike, he is safe. Otherwise, if it is a ball, he has to sit on the hot seat. The next player goes to the mound and if he strikes, the first player is out. This should go on till the time only one pitcher is left who will be given the chance to pitch in the next game. This is a good way to choose a pitcher and the kids will be motivated to play well. Fielding on the knees is an important step to learn. Once you make them sit on their knees, they will automatically learn a lot about how to field. This will also help them watch the ball enter the glove. Another aspect of teaching kids playing baseball that they should be able to move through the baseball in order to field and throw in the best way possible. This drill must be taught with a ball lying on the ground and the fielder should move slowly to the ball. This drill is considered to be the best in order to teach the fielders how to stay low through the ball. This is another crucial part to teach your kids. Catching the ball is not easy and you can start teaching kids playing baseball by throwing the ball at them so that they make an attempt to stop it. In this drill, use tennis balls and do not let them use gloves. This will help them to overcome the fear gradually and they can slowly gain expertise in the game. This can be done by using a helium balloon tied to a batting tee in order to teach them how to throw the ball to a desired target. The players have to step towards the target and point their front elbow towards it before throwing it. The purpose is to make the children use their whole body for it. It should be kept in mind in this step that the throwing elbow must be kept above the collar bone. The batter stands in the path of the ball and hence needs to take necessary precautions so that he is not hurt. The runner has to slide into the base very often and this could lead to running into the player. So this is all about how to teach kids playing baseball. As already known, the process is not a simple one. But teaching kids playing baseball can be easier since you have gone through our article now and know the tricks better!